Here is Devon writing a story for me. I showed him the excellent stories Mrs. She's students are posting on her blog as inspiration. Devon wrote and recorded this story in less than an hour. Special thanks to Cole who listened to Devon practice. Investigate 1 Mixture and Solutions: Can We Separate a Mixture? Yesterday we conducted an experiment where where we created a mixture of salt, diatomaceous earth, gravel, and water. Then we used filters to see if we could separate the mixture. We had planned on recording the lesson, but Ustream died on us halfway through. Write a post on one thing you learned from the experiment. Here are some links you can leave a comment on when you are through. During recess I noticed some third graders practicing for the end of the year talent show. Are you ready to show some talent? 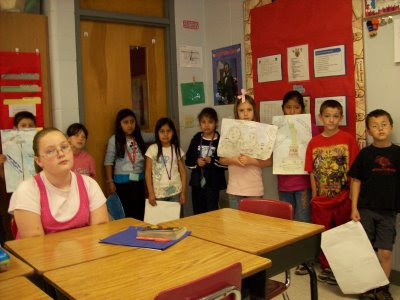 Third grade students from Mrs. Greer's class visited Mrs. Blakemore's fifth grade class today to do oral presentations on National Monuments. This was an extension from story they had in reading. I think that creating reading extensions make the stories much more interesting and allows the students to internalize the information better. Don't miss the video below. Please forgive the loudness, the students were nervous. After last years great Ghost Town moments, see post 1 and post 2, we have a high standard to meet. Since the skill this week is graphic sources you will have the opportunity to create your own. 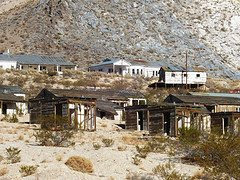 You will also look at Flickr pictures of real ghost towns to get and idea what they really look like. Then you are going to use Kerpoof to create your very own ghost town. Here is the link to the checklist for you to use. Mrs. Keaton, our awesome fifth grade math teacher has a special unit she teaches every year during testing. She gives each student a bag of M and M's and has them identify the number of each color and the number of M and M's in each bag. She uses this to teach ratio, percentage, and graphing. 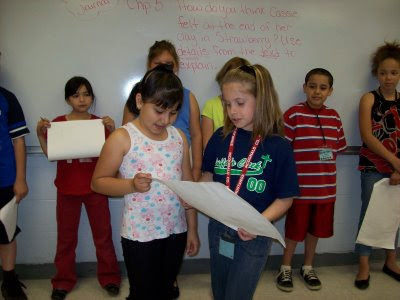 Here are some students giving their reflections on the assignment. If you would like more information about this unit or even like a copy of it send an email or leave a comment and I will be happy to have Mrs. Keaton contact you. Here is the link to the rest of the students' reflections about the project. Evans Elementary from Seminole County, Florida did some amazing work with reading discussion blogs. They have asked us to look through them and leave them some comments. It is a real honor to be asked to do this, so make sure you your comments are positive and relevant. They deserve your best effort. Visitors, we invite you to follow the links and make a comment or two as well. Comments motivate students and teachers. 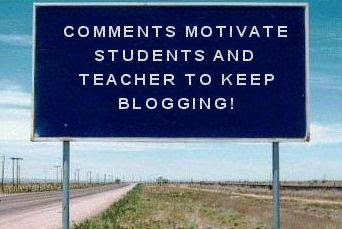 Today we are going to go commenting to some classroom blogs! You and your partner will need to leave a comment on each of the blogs listed below. Remember, do not use your last name. Please link back to this blog when they ask for a url. Make sure your comments are positive and relevant (they should have something to do with what is posted). Discuss with your partner what to write before you start to write. Please remember these students and teachers are important and deserve your best! Geography 6: from Fredericksburg, Virginia. The Official Blog of the Daraja Academy: from Kenya, Africa Watch Welcome to Daraja video before commenting on the blog. Room 11 Bloghetty Blog: From Hamilton, New Zealand. I love to have my students share what they learn with others. 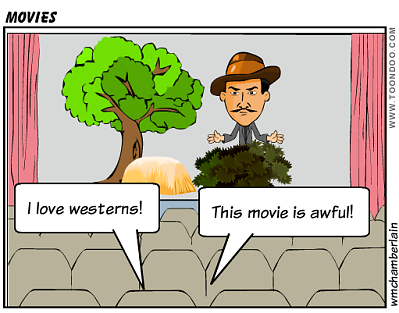 Even though my students and I have found ToonDoo to be a bit difficult to figure out, we have finally started posting our cartoons. The best part about doing something new is giving my students the opportunity to help each other. After I showed Parker how to download the picture and then upload it to the blog, he showed Tristin. Within ten minutes I had students helping each other get the job done. For this assignment I want you to compare and contrast the six step scientific method we have used all year with the steps on the Scientific Method Web Page created by Dan Tripp. Identify how the two methods are alike and also identify any differences you see. 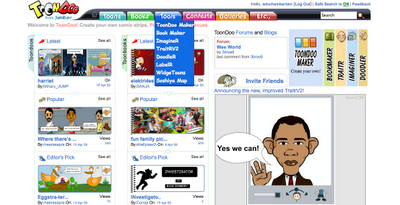 Toondoo is an online cartoon maker. Your assignment is to create and post a cartoon related to your Journey to the Center of the Earth stories. You will need to create an account using your email address and password. After creating your account explore the site and see what you can do. I want your cartoons posted by the end of Reading tomorrow. I want you to explore the site. Find three neat things you can share with the class. Create a graph using made up data and then save them to the desktop of your computer as a jpeg. In the video Digging for the Truth: The Giants of Easter Island we learn that the islanders started out with plenty of natural resources, but because of overpopulation and unwise use of those resources their society crumbled. My students were asked to identify what lesson the world could learn from watching the video. Click here to see what they think they needed to learn. 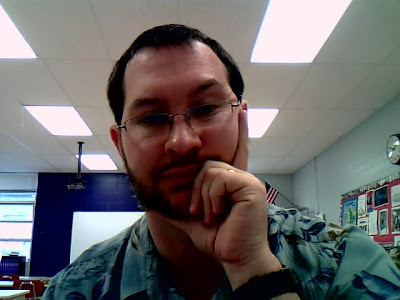 Live and Learn is the Mrs. Hake's fourth grade class blog. The class studies Missouri history and has several posts about that subject. There are many pictures showing activities that the students have had including a trip to the Magic House and an author's visit. 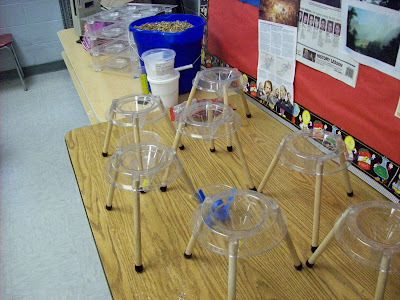 The posts that caught my eye talk about the class's service project. 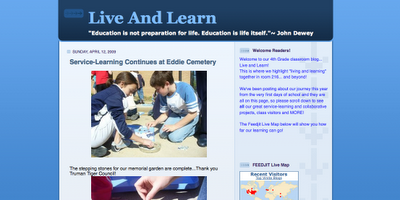 The class has adopted the Eddie Cemetery and they are busy making it a nice place to visit. Obviously, this is a blog I think you should check out. 2009 Soil and Water Conservaion Poster Contest Winners. Here are our winners from this year's poster contest. The posters will be displayed this summer at the McDonald County Fair. Congratulations to Rubecca for first place, Parker for second place, and Emily for third place. Since my class is busily engaged in MAP testing this week, we are in the middle of a posting slowdown. I do have some good things being prepared to put on the blog, but they won't be ready until next week, so in the mean time I decided to write a post about a couple of classroom hacks I use. The first hack is probably not original. I don't like the work of taking down and putting up new posters. Over the years I have done sticky tack, masking tape and hot glue (see below). Last year I received a box of bulldog clips for summer school. It occurred to me I might be able to use them to hold up my posters. I simply hot glued the bulldog clips to my wall, waited a few seconds for the hot glue to cool, and put up the posters. It was a quick and easy solution. I did learn a lesson about spacing the clips. Posters are different sizes and I did have to move some clips around after I put up the posters. As I mentioned earlier, I have hot glued my posters to the walls before, but unfortunately I have sometimes had problems removing them. I came up with a solution that has worked very well. I put masking tape on the back of the poster that I am going to hang. I put the glue on the masking tape. This allows me to put the posters up without the glue sticking to them. When I take the poster down, it peels off and the hot glue comes off easily as well. This has made removing hot glue from the walls incredibly easy. Photo found at Wikimedia Commons. Today we are going to practice our note-taking skills. Specifically we are using Cornell notes to learn more about Benjamin Franklin. 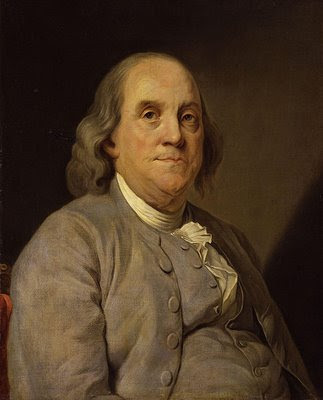 We will be looking at three periods in Franklin's life; before, during, and after the American Revolution. After each period we will compile and summarize the "big picture" from the information we gather. This should be an interesting and fun way to practice note-taking skills. Class watching video while taking notes. Ms.Mason, thanks for asking me these questions. I hope you don't mind, but I thought some of them would be more appropriate for my students to answer. 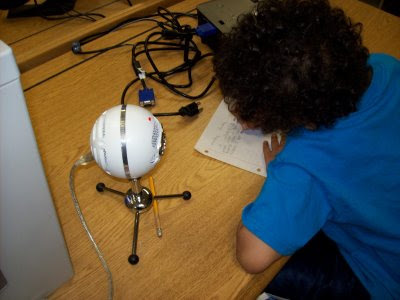 Question 1: What is it like to use a blog in the classroom? I use my blog in many different ways. I use it to inform, entertain, persuade, and (oops, I just taught author's purpose in class,) The real answer is magical. 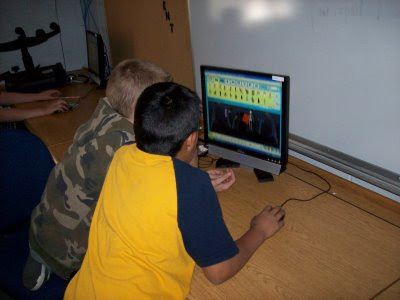 It has allowed my students access to different classrooms and different countries. It has been the best thing ever! 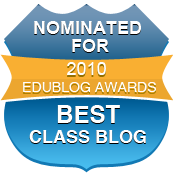 Question 2: How do my students use the blog? I will let Slendy answer that. 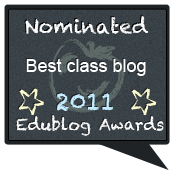 Question 3: Do my students like having a class blog? I will let Slendy answer that one too. 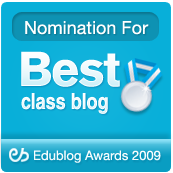 Question 4: What made me decide to create a class blog? At first, I thought it would be a good way to help my students use the computers more. I thought it would be a great way to share information. I liked how easy it was to change the content, because my static web page was hard to change information on. Question 5: Are parents able to check the blog? Absolutely, the blog is open to everyone. 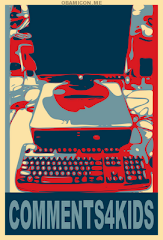 Comments are moderated for content, but if someone would like to comment on a post I encourage them to do so. 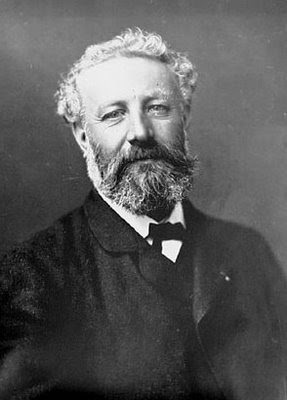 My students just finished reading an excerpt from Jules Verne's classic story Journey to the Center of the Earth. Last year my students wrote stories describing what happened when they went to the center of the Earth. This year, I created a short story starter for my students to use for inspiration. Zac, Rosa, and Saul lend their voices to begin our stories. The stories will be posted on the A Novel Approach to Reading blog when they are finished. Here is a link where I explain how you can get the novel on audio for free. I am sitting at my desk right now, watching my students struggle. After six months of modeling note taking skills, I have now turned them loose to create their own notes. 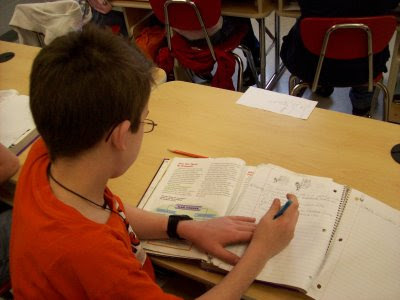 They have been taught several different styles of note taking including Cornell notes, formal notes, and webbing. They have options of using paper and note cards or anything else they think will help. The assignment is for them to read a section in their science textbook. They are supposed to take notes and when finished they can use their notes to answer questions on a worksheet. The focus is not on the content, it is on being able to identify important information and write them down in a useful manner. Although it may sound mean, I am taking some pleasure in seeing my "better" students struggle. When things are easy for them, they don't learn what it is like to have to put forth effort. When they have finished their notes and answered the questions on the worksheet I will have them review the questions they missed. It is important that they reflect on what they were successful with and what they need to work more on. I will post some of their reflections later.